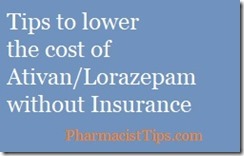 Learn how to lower the cost of Ativan and the generic lorazepam without insurance. When you don’t have insurance there are ways to ensure you are getting a fair price. Read my article 5 Ways to save on Prescriptions when you don’t have Insurance. Ativan and the generic lorazepam is from a family of medications known as benzodiazepines. It is typically used to treat anxiety symptoms. It does have the potential for people to become addicted to or dependent on it. That’s why this medication should be only used under the close supervision of a doctor. Depending on the strength and quantity this medication can cost up to $50 or more. However, you can use my discount price checker to find a lower price. 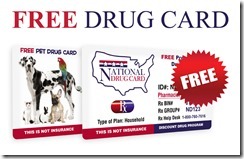 If the price works for you print the card or screen capture it and show it to the pharmacy staff. Always speak with your Doctor and Pharmacist if you can’t afford you medications. They may be able to find you less costly alternatives.